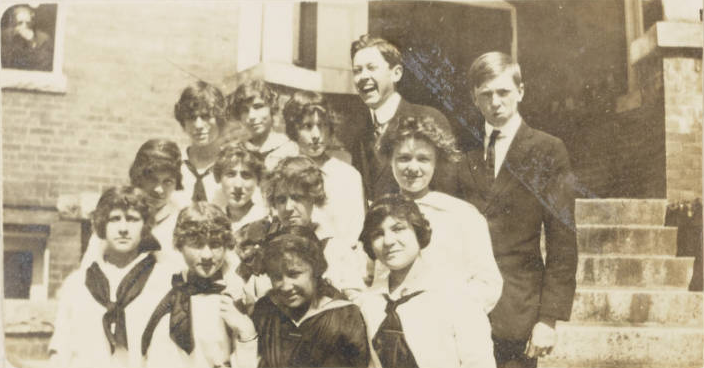 7 new yearbooks from the Transylvania County Public Library are now available on DigitalNC. The yearbooks document the lives of students and teachers from Brevard High School, Rosman High School, and Brevard College. 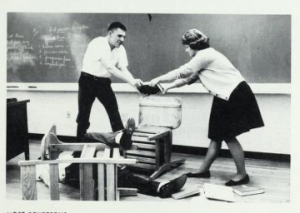 The yearbooks from Brevard High School may be of particular interest because of their many humorous photos and captions. While all of the yearbooks on DigitalNC document the distinct character of a given school, some are a bit more dramatic than others. 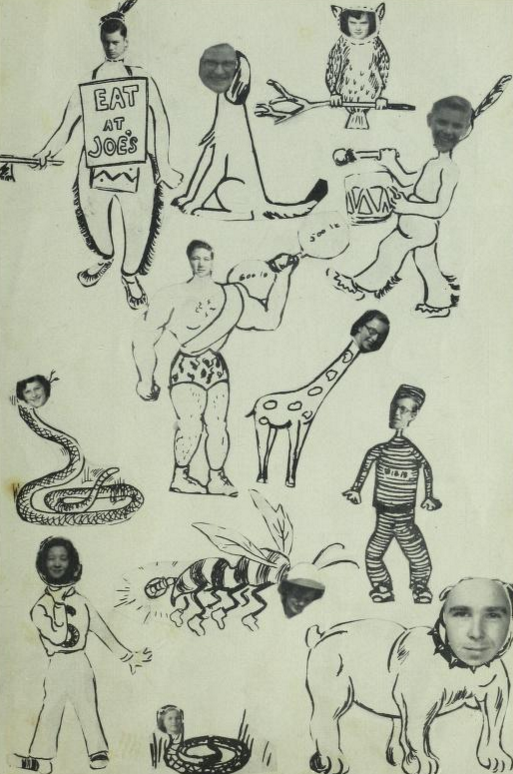 The editors of this batch of yearbooks from Brevard definitely had a sense of humor! To see more yearbooks or learn more about the Transylvania Public Library, please their contributor page or the website. 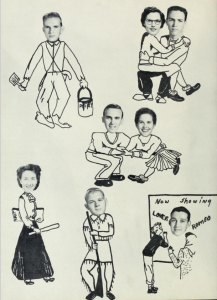 “New Farmers of America,” from the Carver High School yearbook, Hi-Lite, 1949. Eleven new yearbooks provided by Forsyth County Public Library have been digitized and added to DigitalNC. All eleven are from Carver High School in Winston-Salem, North Carolina, dating from 1949 to 1969. The yearbook was titled “Hi-Lite” until 1949, then “Yellow Jacket” from 1950 onward. 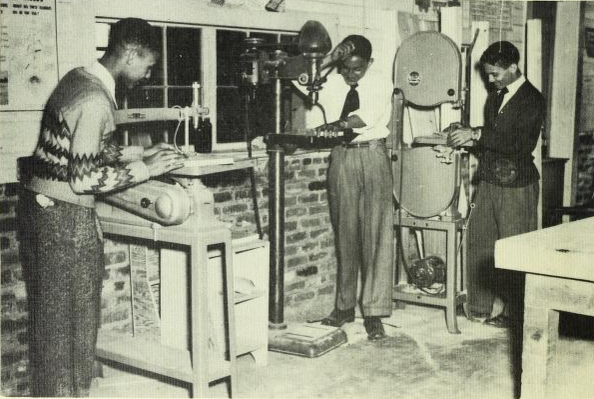 Carver High School is a historically black school founded in 1936 and still open today; the yearbooks include photographs of students, staff, class activities, athletics, clubs, and superlatives. You can view more yearbooks from Forsyth County Public Library, including books from Carver High School and Richard J. Reynolds High School, on DigitalNC. Plus you can see more materials from Forsyth County Public Library, including yearbooks, city directories, memorabilia, and photographs. Hazel Herndon joins the Red Cross. 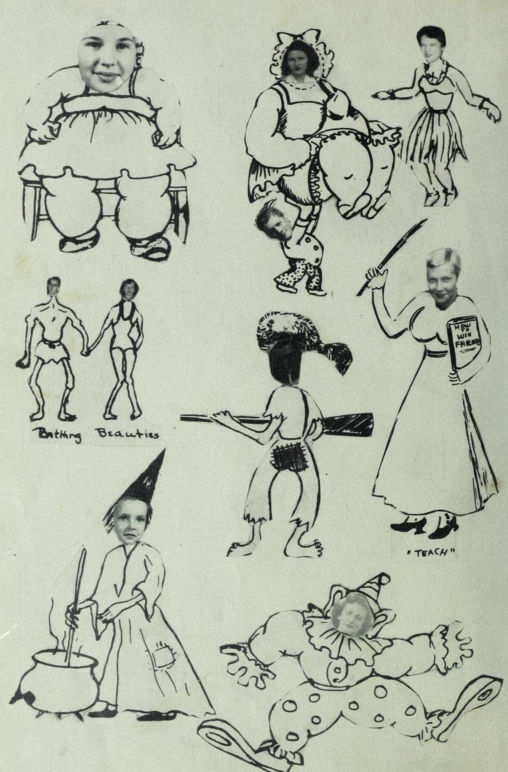 From Hazel Herndon’s World War II journal. Hazel Herndon, a young woman from Charlotte, North Carolina, joined the Red Cross in 1944 and was assigned overseas during World War II. 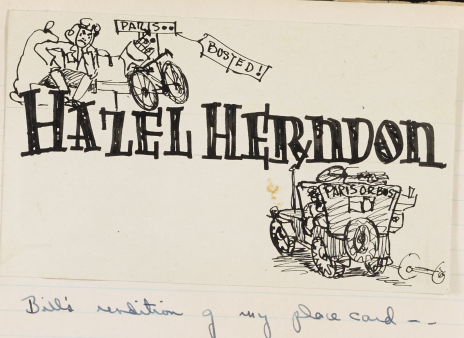 Throughout her time abroad, Hazel kept a large and detailed scrapbook about her life. It contains diary entries about her work in the Red Cross, travels around Europe (including England, France, and Germany), and personal life, such as her friendships and marriage. 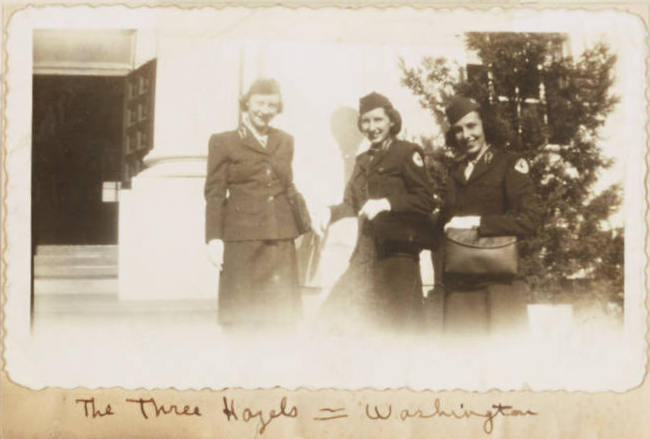 The scrapbook is full of photographs, letters, pamphlets, postcards, maps, and many more items that paint a detailed picture of Hazel Herndon’s life working for the Red Cross during World War II. This scrapbook was provided by Kings Mountain Historical Museum. In addition, you can view a transcript of it. You can view more from Kings Mountain Historical Museum at their DigitalNC homepage and learn more on their website. 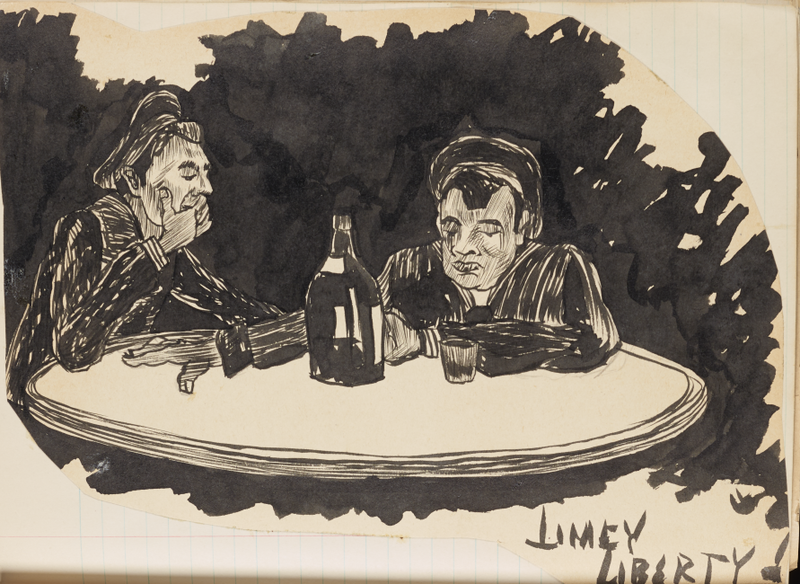 A drawing from Hazel Herndon’s journal, labeled “Limey Liberty.” The journal is full of similar illustrations. 20 new yearbooks from Gaston County Public Library are now available on DigitalNC. They cover a period from the late 1930’s to the early 1960’s and are good resources for genealogy research about the Gaston County community. 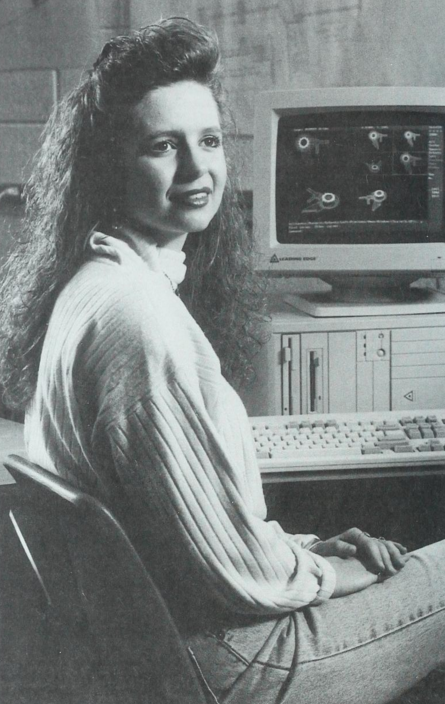 While most of the yearbooks are fairly traditional, the “Eagle” from Cramerton High School has quite a few interesting and unique images of their students and teachers. 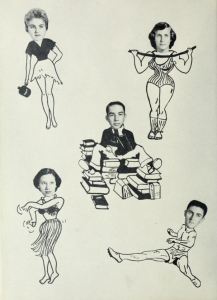 Like the senior superlatives pictured above, many of the yearbooks on DigitalNC contain humorous and sometimes weird depictions of the character of North Carolina high schools. For more information about the Gaston County Public Library, please visit the contributor page or the website. To view yearbooks from the high school or colleges in your community, check out the North Carolina Yearbooks collection on DigitalNC. 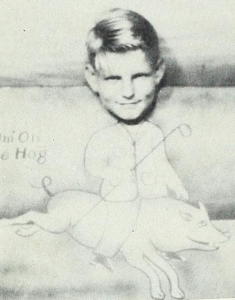 From Henderson High School yearbook, 1914. More scrapbooks from Henderson, North Carolina can be seen here, plus yearbooks here. You can view more from Perry Memorial Library on their DigitalNC page and learn more on their website. The West Charlotte Orchestra, from The Lion 1965. You can view more materials from the Charlotte Mecklenburg Library on the DigitalNC page and visit their homepage. Additionally, you can view more yearbooks from Charlotte here. From King’s College, Kastle 1965. 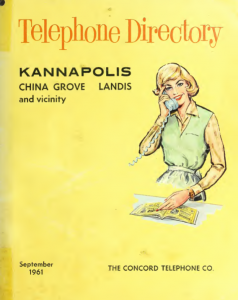 Twenty-two new city and telephone directories are now available on DigitalNC. 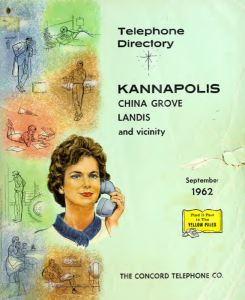 Thanks to the Cabarrus County Public Library, it is possible to research information regarding Kannapolis, China Grove, Landis, Concord, and several surrounding areas from 1933- 1965. You can search all of the new additions here. Besides the names and business data typical of city directories, they also include many advertisements and illustrations. They would also serve as excellent resources for those interested in genealogical research in Cabarrus County. For more information about the Cabarrus County Public Library, please visit the contributor page or the website. 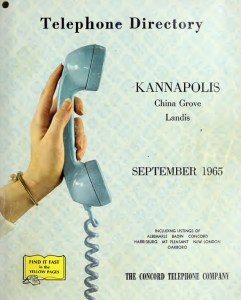 To see more city directories like this from other cities in North Carolina, please visit the North Carolina City Directories Collection. 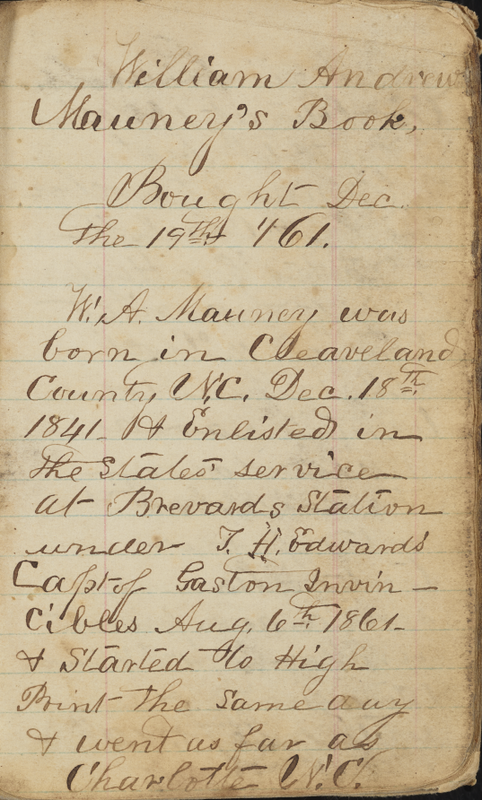 Civil War diary of William Andrew Mauney. William Andrew Mauney was a Confederate soldier from North Carolina who kept a diary during the Civil War. 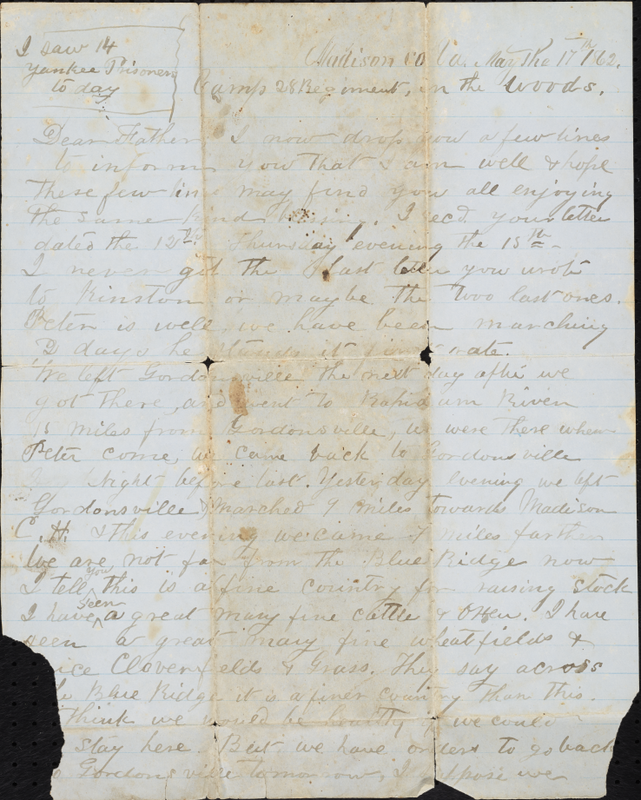 The diary, which comes from the Kings Mountain Historical Museum, has been digitized and added to DigitalNC. 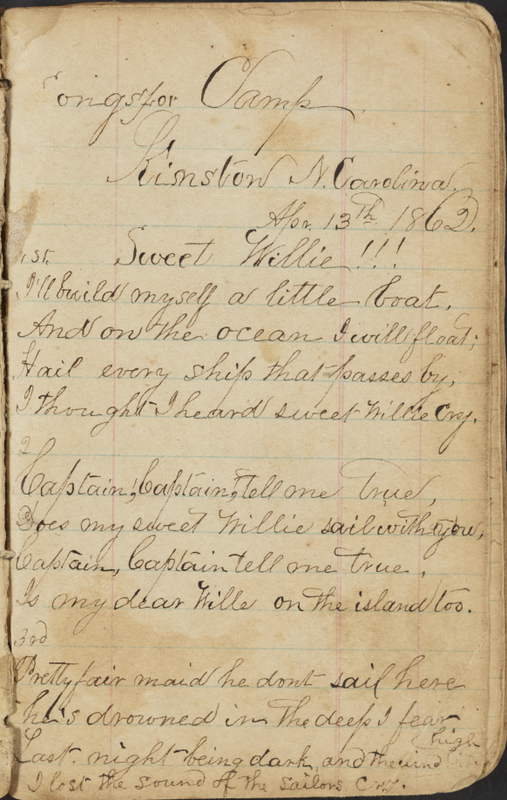 The Mauney Diary also includes a transcript of the diary (beginning here), making the text searchable and easier to read. Mauney was born in Cleveland County, North Carolina, and enlisted at Brevard’s Station on August 6, 1861. He began the diary in December 1861 and continued it through 1865. He wrote about daily life in the army and their movements and battles around North Carolina, Virginia, and up to Pennsylvania. Mauney also lists the names of officers and privates in the Confederate army, writes down finances, rations, and a clothing inventory, and wrote out lyrics of songs that were sung in the soldiers’ camp (below). Along with the Civil War Diary are a letter from William Andrew Mauney to his father and a receipt fragment from the diary. You can see more from Kings Mountain Historical Museum here and visit their website. “Songs for Camp.” Mauney writes out lyrics to camp songs in his Civil War diary. William Andrew Mauney’s letter to his father during the Civil War. More than 30 course catalogs and student handbooks are the newest items available from Richmond Community College, located in Hamlet, NC. 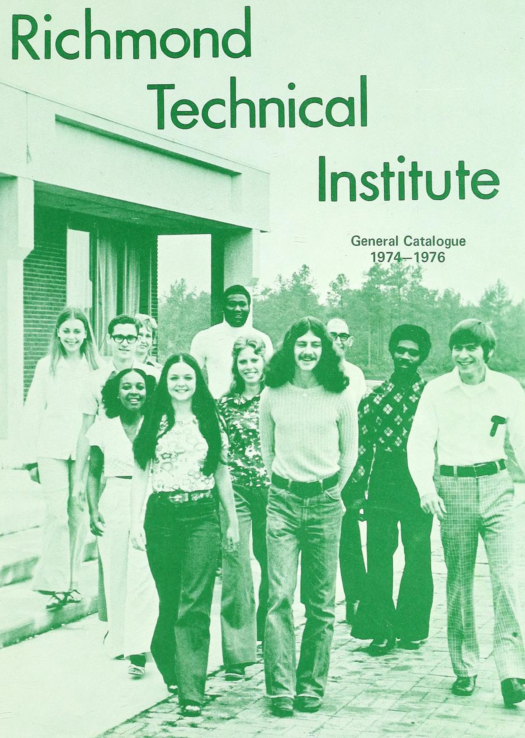 The catalogs date from the college’s establishment in 1964 through 2010. They feature all of the course offerings from the school’s many degree programs. It is interesting to see digitized versions of these catalogs as more and more schools are moving to digital course catalogs. They are a great resource for those who want to learn more about curriculum development over time. They also contain many photos of the student population. To see all of the materials from Richmond Community College, including the yearbooks, please visit the contributor page. For more information about the College, please visit the website. 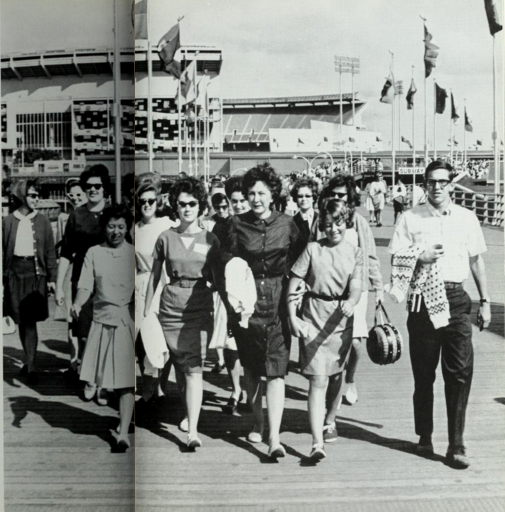 DigitalNC is happy to offer two new yearbooks from the Wayne County Public Library. The yearbooks are from Eureka High School, located in Eureka, NC, which had a population of about 200 people at the 2010 census. 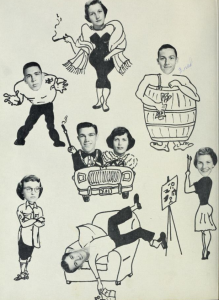 These yearbooks offer a nice look into the life of a small community school during the 1950’s. Although it is described as a high school, both yearbooks feature 1st-12th grade classes. Yearbooks like these could be excellent resources for genealogy research, especially about this small community. You can also view all of the yearbooks from Wayne County Public Library here. To learn more about the Wayne County Public Library by visiting their contributor page or their website.